Los Angeles - Carrie Fisher says the original Star Wars cast looked "a little melted" when they met ahead of shooting on Episode VII. The 57-year-old actress reprises her role as Princess Leia in the blockbuster sequel alongside alongside Harrison Ford, Mark Hamill, Anthony Daniels, Peter Mayhew and Kenny Baker who are also returning to the franchise. She admits it was reassuring to see that everyone's appearance had changed 37 years on from the original. Talking to an audience at the Hay Festival in Wales, she said: ''We all look a little melted. It's good to see other melted people. 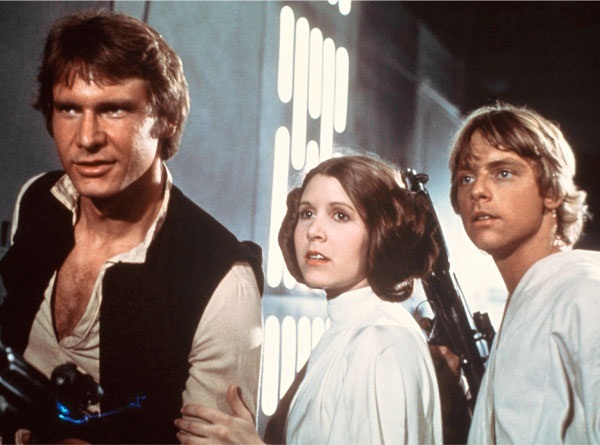 Carrie played Princess Leia three times starting with the original 197 film, Star Wars Episode IV: A New Hope and she believes her latest interpretation will be her best. Filming began in Abu Dhabi earlier this month and is then expected to continue at Pinewood Studios in Buckinghamshire, England. The movie - which has a screenplay written by director J.J. Abrams and Lawrence Kasban - is due to open worldwide on December 18, 2015. For all the latest Star Wars news follow us on Channel24 Facebook!